click reload to see new art. Be sure to bookmark this page so you can find your way back! Please click on the vote button below to vote for this site. Click below to recommend this site to a friend. 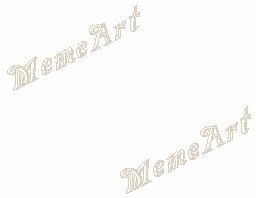 Animations contained on this site were not created by MemeArt and to the best of my knowledge, all of them are free for non commercial use. Animations may not be resold, placed in any location where a membership or entrance fee is required to access them, or used on commercial/business web sites (including intranet and extranet sites) without the knowledge and prior permission of the artist.